The children are finally back in school after several days of no school and many 2 hour delays. I know why they schedule spring break in the spring. It's so the children can play outside. OUTSIDE! They can't play outside when it is -13 degrees. Kids and parents locked in the house for days on end can start to go stir crazy. I feel like I'm crazy. I'm going to enjoy doing nothing today. All alone in my house. Can you tell I am losing it? haha! I'm not really, but I am ready for routine to come back in full force. All the kids and moms I know were craving something fun to do since we are stuck inside the house due to the super cold weather. Record low temps here in Ohio = major cabin fever! Sooooo we all got hotel rooms and decided to swim the day away! We may have let the kids jump on the beds for a few minutes. We ate pizza and swam and had a huge sleepover. Our rooms were right next door to one another and they were adjoining!! How fun is that?!?!? We all got up and had breakfast in the hotel and swam some more! We made some fun memories and the kids swam all their energy out!!! My family will not eat a banana that looks like this. Will yours? Personally I don't judge a banana by it's peel. I love them sorta soft. When they are too brown for the family I will save a few for myself and peel the rest. Then I slice them up and throw them into a baggie! I put one banana in each baggie for portion control. Finally I throw them into the freezer and later once frozen I add them to smoothies! The kids are smoothie obsessed right now. A baggie of banana blended with a handful of strawberries and some orange juice = the best breakfast smoothie ever. It's kid approved! So, don't throw away your brown bananas!! she loves the white powder! 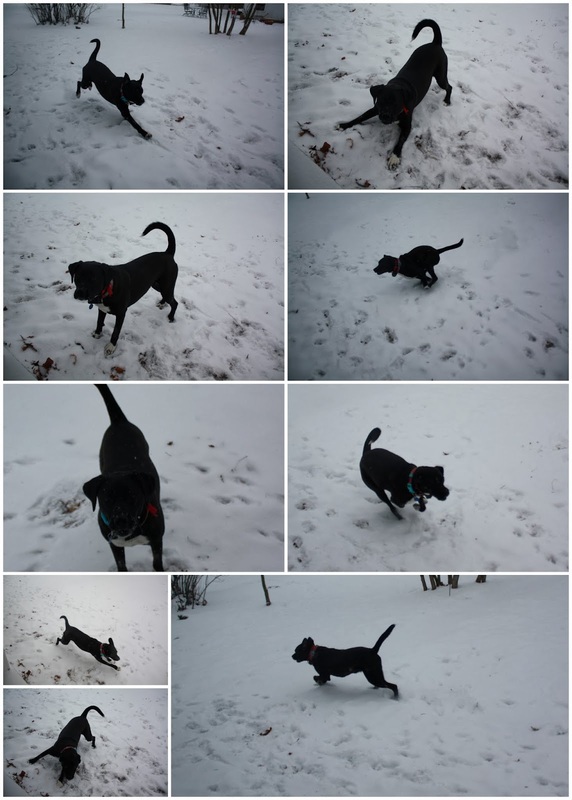 Thank goodness Lily Jack loves the snow! She has been cooped up in the house and she needs to run. I can't help but laugh at her while I watch her run circles around the yard. She creates a powder cloud behind her as she gallops around. 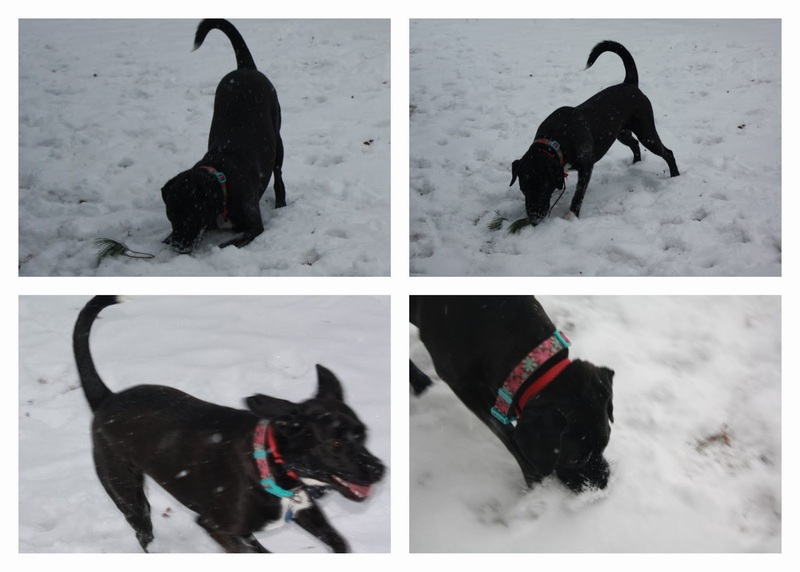 I am not sure what she smells when she dunks her long snout deep into the snow. I bet it's quite cold down there. 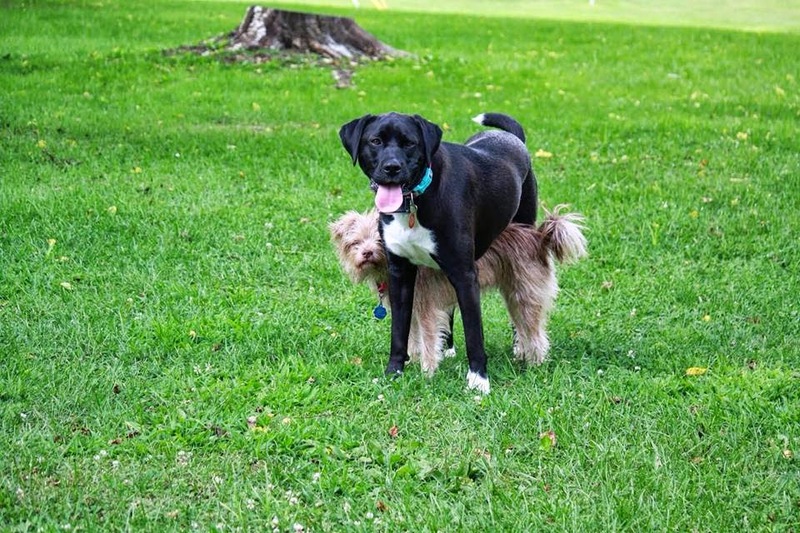 I seriously love this frisky pup so much! She's amazing! chicken tamale casserole pin gone right, oh so right! We have had so many school delays due to the weather. It's been very frigid or snowy this entire month. When I know I'm home all day I want to make something fun and different for dinner. Soooo, I get on pinterest and search for ideas! Pinterest is so very fun. I found a great recipe to help pass the 'snow day' down time. As you know, I enjoy being in the kitchen. Sometimes the kids play together so well I get bored. I have a problem. When I get bored I cook. Also another excuse to cook: using the oven warms this old farm house kitchen. I found this chicken tamale casserole recipe. I followed it pretty much except I made a few changes. It's snowing and cold and I didn't have a can of creamed corn. There is no way I was leaving to get a can, so I put a can of whole kernel corn in the blender and added heavy cream to it. Viola...creamed corn. I added a can of chopped green chilis to it for flavor. Also I must note because of the heavy cream I cut the milk called for in the recipe in half. I used 4 cooked chopped chicken breasts and I'm not sure if they equaled 3 cups of chicken, but the recipe was amazing anyway. Otherwise I followed the recipe. Ahhhh! It is OUTSTANDING! I am a tamale lover and one of my life long goals is to make tamales from scratch. Gary and I both want to do this. For now, this recipe satified my tamale craving. As you know birthday celebrations in our house are always special and we like to make a big deal of them. The kids get to pick the restaurant or meal they want that night and they also get to chose their cake flavor of the year. Well, the adults get to do this also. We are the ones who started it with our families before we had these two munchkins. Anyway, Gary choose steak for his meal, here at home. Andddd he picked cookie cake. I'm awful at cookie cake, but I vow to make it better next year. Once again this year, like last year, I had to toss the pan in the garbage after we ate what we wanted of the cookie. I didn't even decorate it. Hey, enough is enough though. I have 364 days to practice this cookie cake thing until next year. I will be sharing my failed cookies in hopes of conquering it before next year. Pshhhh. My luck he will request a different cake next year. Heeeheeeheee! We had a fun night with dad as he gets ready to board a plane to Punta Cana. Yep, a Pub Crawl and a weekend getaway to The Dominican Republic. I'd say he's bringing in 40 just right. Today Gary turns 40 years old! I dug around in my google + account that was once picasa. I found 40 pictures to celebrate him, but couldn't stop at just 40! Our family has tons of pictures together. I am very thankful for my picture obsession. Happy birthday to the best husband and father!!! We love you! Gary turns 40 on January 22nd!! The big 40! I decided to throw a suprise birthday party for him. I'm horrible at keeping secrets, so it's big that I pulled it off! He was so suprised!! It was awesome! I had T-shirts made for us to wear for the pub crawl. They said, "Say it ain't so Sipes is 4-0!" I checked with each stop on our Pub Crawl to let them know we were coming. It was a fun night with great friends. We are truly blessed to have such a great froup of buddies here in Ohio! It was a crazy night, but we made tons of fun memories! Saturday at 4:00 was Hayden's first Upwards basketball game. It was a learning experience for our entire family. I think it's a great league for Hayden to learn the game. I didn't take my Canon camera with me and I wish I would have!!! This guy had no idea what to expect, but he caught on pretty fast for it being his first game. He didn't know defense from offense, but I think as the season goes on he'll love playing basket ball. I'm so proud of him. I would have been a nervous wreck if I were him, but he did great! I can't wait to see him play each week! It'll be a wonderful learning experience. The kiddos didn't have school today because the teachers had a workday! My besties husband was out of town and Gary was traveling for work, so we had a sleepover with us and all the kids. It was a superfun night and everyone had a blast!! All the kids slept in our playroom and they fell asleep at a reasonable hour, however they were up super early! We all had naps today and are getting ready for school tomorrow and then a fun weekend ahead. Yay for family sleepovers and no school and double Yay for NAPS! haha! I made spaghetti squash yesterday. The hardest part of the whole process was cutting the squash in half. I didn't do anything to my squash once I cut it. I placed in a 375 degree oven and baked it face down for 50 minutes. Then I checked on it and baked it for 20 minutes more. It was sweet perfection. I scraped the spaghetti strings out of the 'shell' and ate them with a little salt and pepper and a dab of butter. I love the sweet flavor of spaghetti squash just as it is. I know there are tons of recipes out there, but I just eat mine plain. I have more in the fridge. I'm thinking I should make the mac and cheese recipe everyone talks about. Mmmmm! Sunday afternoons are for bowling!! Christmas tree turned rocket ship!